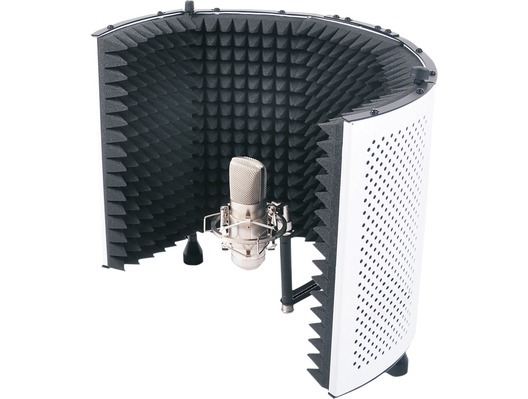 This SoundLab studio mic screen is a well-designed studio sound isolation screen which can be standalone or can fit onto most stands that have tube diameter from OD 15mm to OD 28mm and it has a stylish white finish. 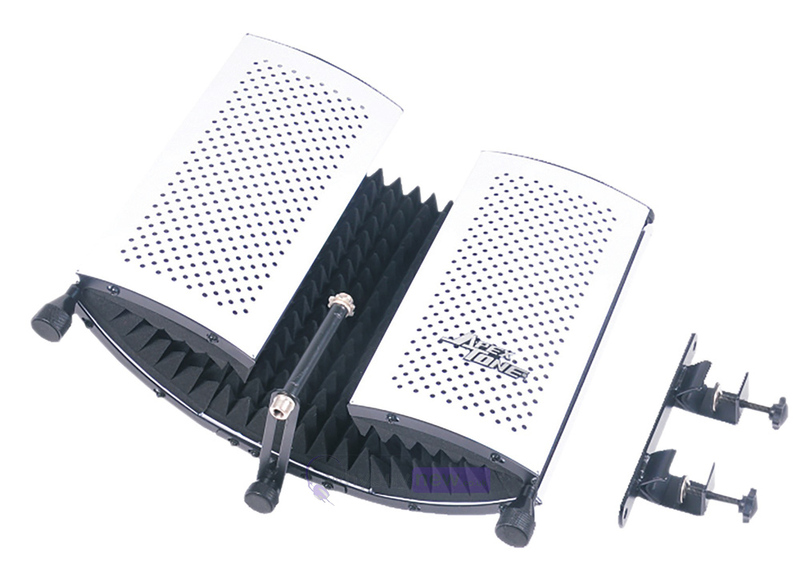 A feature of this screen is that the left and right panels can be adjusted to give the best sound protection and as a result improves voice recording quality. 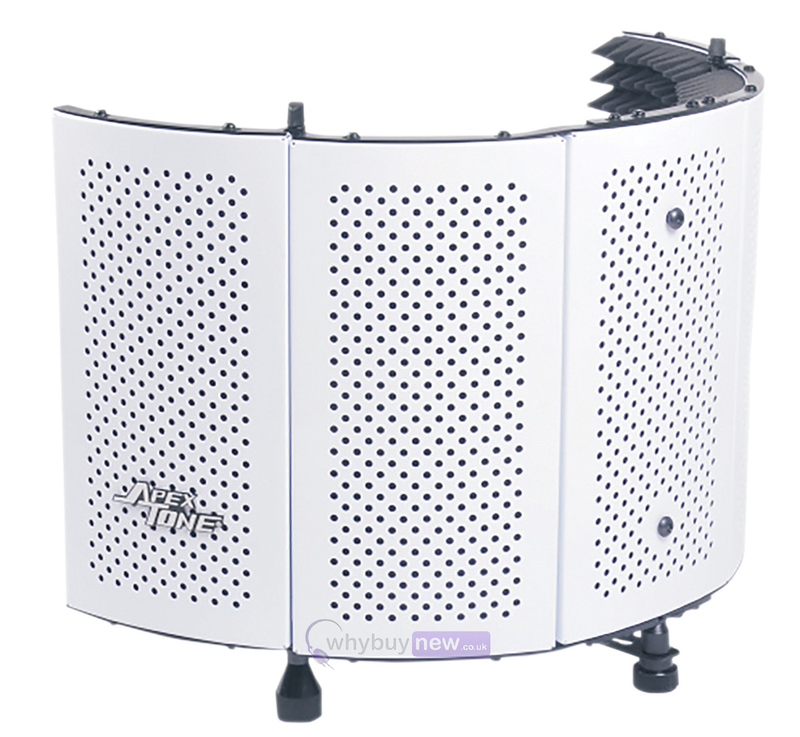 Ideally in home studios, rehearsal studios or other untreated acoustic locations, isolating the mic from unwanted reflections and resulting in a closer, drier sound. Screens only, does not include microphone, shock mount holder, headphones or stand. 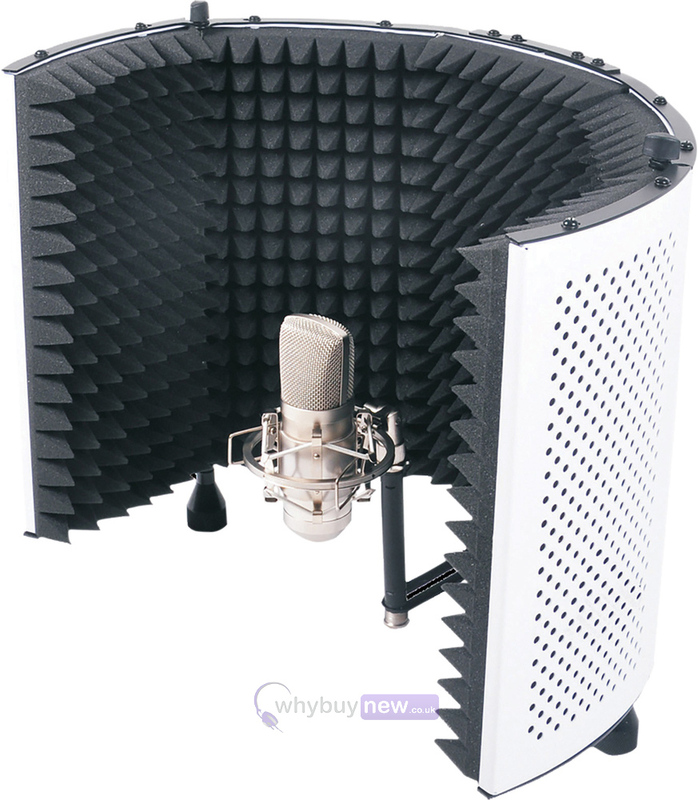 Here we have the SoundLab Studio Microphone Reflexion Screen White in brand new condition and in B-Stock. The B-Stock versions would have been on display at a training evening or trade exhibition only and will come boxed 'as new' with all accessories and a 1-year warranty. The original box will have cosmetic damage and some tape on it.